Khan Noonien Singh… For Star Trek fans, both dedicated and casual, the name is instantly recognizable as one of the great adversaries to Captain Kirk and his crew. While Star Trek II: The Wrath of Khan solidified his place in the history of great cinematic villains, the film, as we all know, was an amazing call back to the first season of the Star Trek TV Series. In the 22nd episode of the series, we are introduced to Khan and his crew of the Botany Bay, a seemingly lost ship, drifting since the 20th Century. Played amazingly by the late Ricardo Montalban, Khan is both charismatic and dangerous. With the latest 1/6 scale figure release from Quantum Mechanix, fans are treated to a stunning homage to Khan’s debut. The Star Trek: The Original Series – Khan Noonien Singh 1/6 Scale Figure is available now from QMX. You can purchase the figure direct from them by Clicking Here. 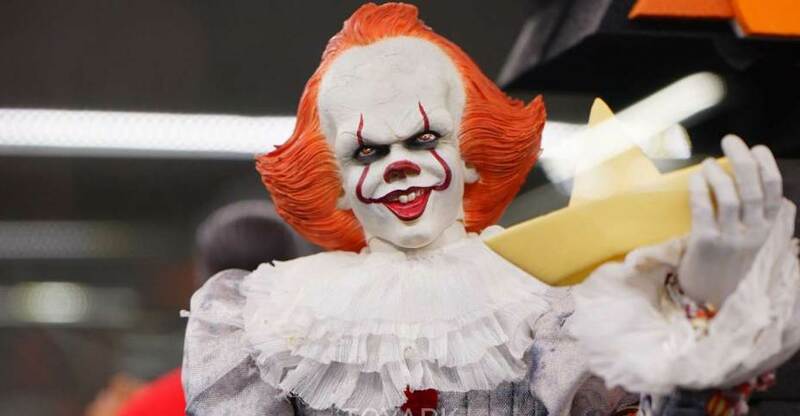 The figure is priced at $149.99. 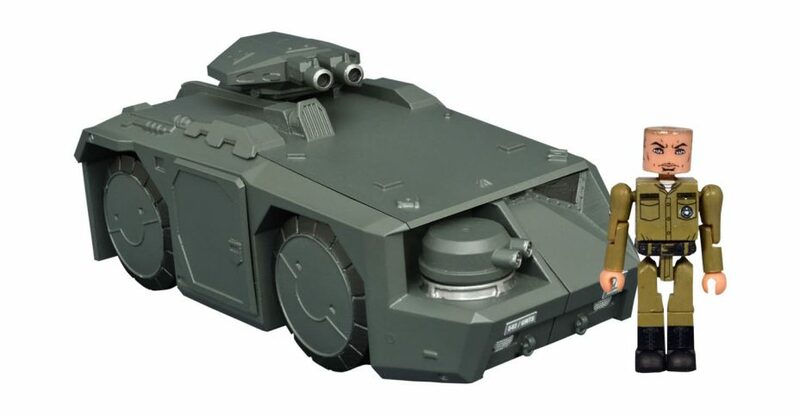 It includes multiple interchangeable hands, a crushed phaser, a pipe (for Kirk), and a themed figure stand. QMX has sent along the Khan figure for us to check out. After the jump you can see my photos and thoughts on the new release. The highly anticipated Star Trek: The Original Series – Khan Noonien Singh 1/6 Scale Figure is now available directly from Quantum Mechanix! 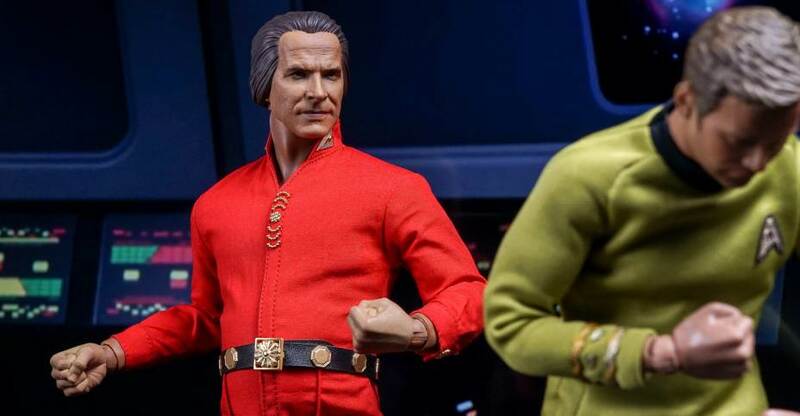 This Khan figure is based on the classic Star Trek ToS episode “Space Seed” which served as the precursor to Star Trek II: The Wrath of Khan. You can order the figure now by Clicking Here. 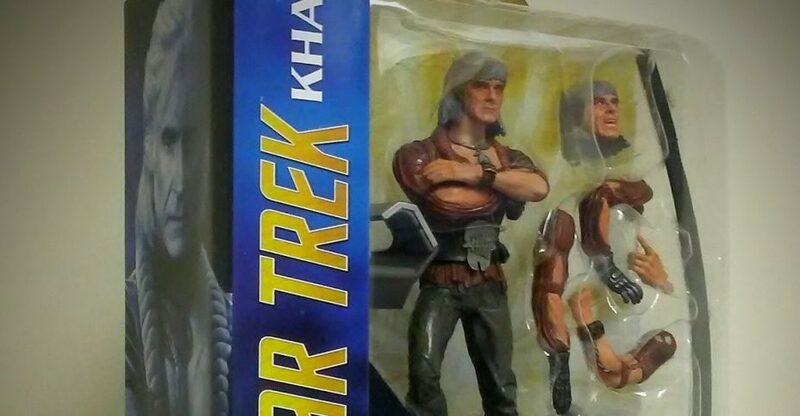 The Khan figure will be priced at $149.99. See official details below and the photos after the jump. 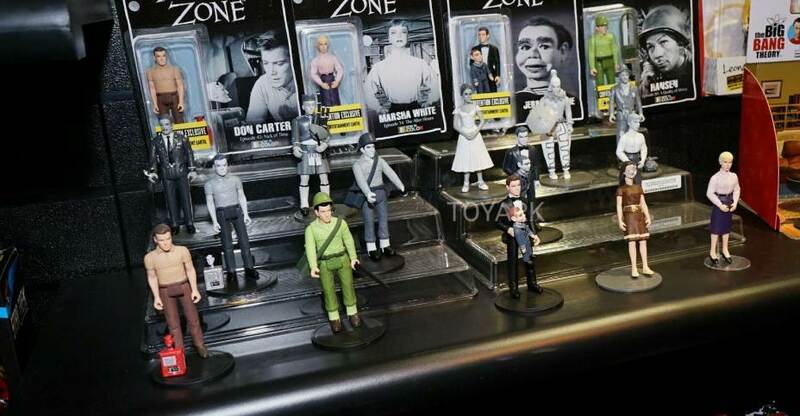 Captain Kirk’s arch nemesis joins the Quantum Mechanix line of 1:6 scale collectible figures from Star Trek™: The Original Series (TOS). 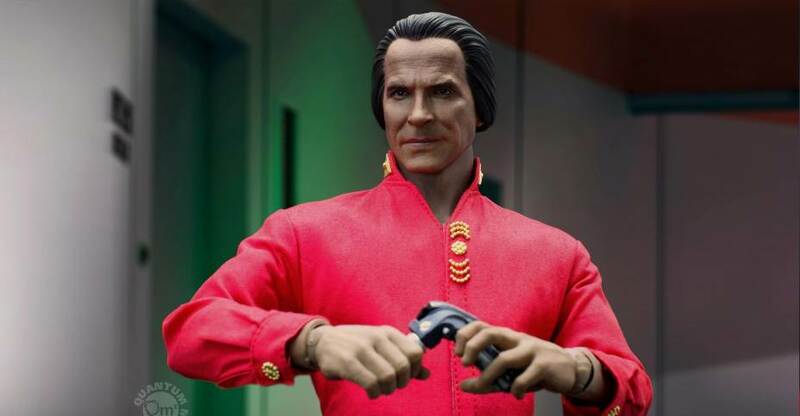 Khan Noonien Singh from the classic episode “Space Seed” was the genetically-engineered superhuman that nearly took over Earth in the late 20th century. This figure represents Khan in his red military uniform worn as he tried to take command of the Enterprise in the 23rd century. Standing approximately 12 inches tall, every element, from the gold collar insignia to his custom black boots, is authentically reproduced. The original portrait sculpt of Ricardo Montalban as Khan has an authentic, hand-painted likeness. Realistic Portrait: An authentic likeness of Montalban as Khan is specially hand-painted. Red Military Jumpsuit: Meticulously researched, this jumpsuit matches the pattern, fabric and color of the original costume. The gold accents are exact replicas of the original pieces. Boots: Using leather-like material cut in the original style of the footwear worn in Star Trek™: TOS. For details on the equipment and multiple hands that come with Khan, please click on the Accessories tab. This fine collectible figure is a perfect rendition of everyone’s favorite despotic superhuman and a great addition to your Star Trek™ 1:6-scale figure collection. Crushed Phaser: Using his super-strength Khan took Kirk’s phaser and crushed it using his bare hands. Engineering Rod: Kirk was only able to get the better of Khan by beating him with this rod pulled from the engineering console. 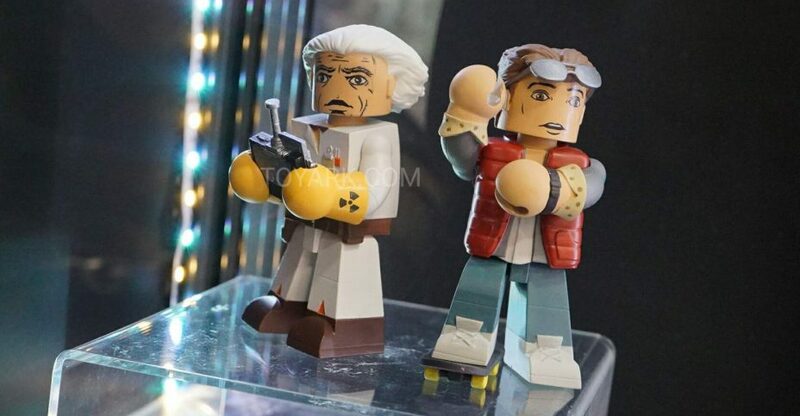 Specialty hands are included for crushing the phaser and holding the engineering rod. 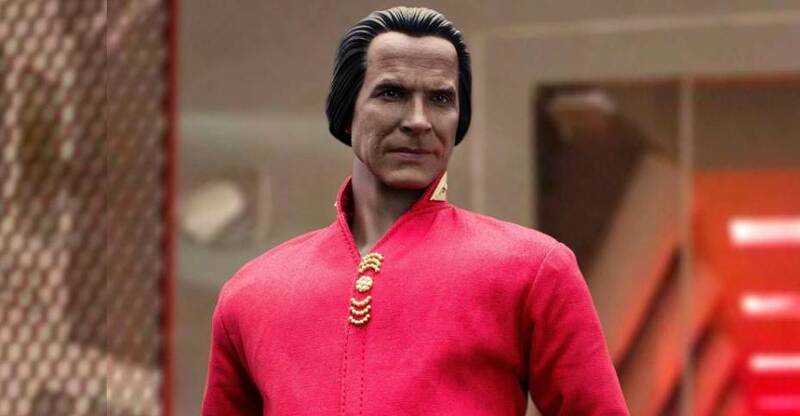 Quantum Mechanix has posted the official product page for their upcoming Star Trek: The Original Series – Khan Noonien Singh 1/6 Scale Figure. 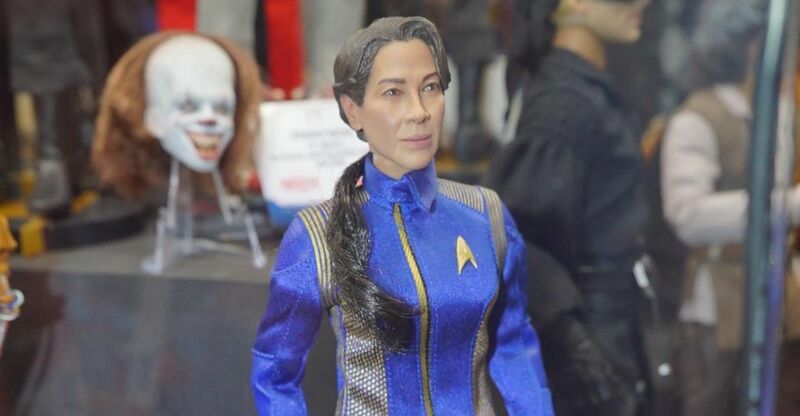 The new figure is based on the classic episode “Space Seed” which served as the precursor to Star Trek II: The Wrath of Khan. The figure will include interchangeable hands, a crushed phaser, an Engineering Rod, and a Star Trek Delta Symbol Display Base. Pre-orders will be available soon Here. Sign up for their updates to be notified 24 hours prior to pre-orders going live. The Khan figure will be priced at $149.99, and will begin shipping out next month. See official details below and the photos after the jump. Photos can be found by reading on. They say revenge is a dish best served cold, but revenge has never been this cool! Measuring approximately 7 inches tall, this action figure of Khan Noonien Singh, as he appeared in Star Trek II: The Wrath of Khan, comes with the command chair of the U.S.S. Reliant, as well as numerous interchangeable parts. 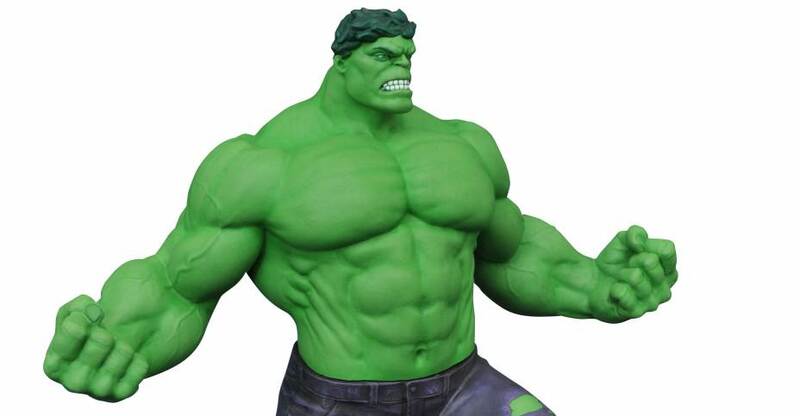 With alternate legs, arms, hands and a head, you can have him seated or standing, shaking his fist or crossing his arms, shouting or savoring his victory. Just in time for the film’s 35th anniversary, this figure comes packaged in display-ready Select packaging, with spine artwork for easy shelf reference. Sculpted by Patrick Piggott! Khan will be priced at $24.95. Look for him to be released this Fall. You can see the photo by clicking the banner image above.